Credit scores are traditionally figured using a system by Fair Isaac Corp. Commonly called FICO credit scores. The scores range from 300 to 850. They are figured on a mix of credit use, length of credit, payment history on credit, and debt to income ratio. If any of those are "off", the credit score is lower. Of U.S. consumers with credit scores, a record 58.2 percent had a score of 700 or higher on a scale that tops out at 850. The average FICO score is at a record 704. Lenders may have different cutoffs, but Experian considers scores under 670 subprime. Some consumers may be cash rich but credit poor. This would be consumers who use cash, checks, or debit cards only for their purchases. This can be wise financial management, but in the eyes of the credit score model currently in use, it would give them a very low credit score. Consumers who have what is considered a subprime credit score or have a lower score than the lender's cutoff for a loan program can give permission to the lender to have access to their bank savings, checking and money market accounts. The length of time these accounts have been open will improve your credit score. If the checking account usually has a balance of a couple hundred dollars that can improve your score. If you do not have overdrafts in your checking, your score can improve. Showing savings in a bank savings account or money market can improve your score. It will increase the speed in which a fair credit score can be ascertained, and the loan approved. Consumers with a score that falls just under the cutoff score have a chance with this new method of scoring to increase their score. Those that are not scorable because of not using credit cards or installment loans will be able to have a score that fairly assesses their credit worthiness. FICO stresses that this is done only by consumer permission. It may be implemented in a simple way by using a secured application on your smartphone. It will attract those who are underscored or non-scored. Such as those who are self-employed, have a short credit history, cash only buyers, or immigrant entrepreneurs, making them have a longer or better credit history. This new system will give a second chance and better rates to those who have come through a difficult financial time. It can show their credit worthiness to be better than the older late payments that show up on a traditional credit scoring product. The new credit scoring system called the Ultra FICO will follow the same general blueprint as the traditional FICO. Data from checking and savings accounts have not been included in the old, traditional system. The new system will boost the number of approvals and the speed at which they can be done by the lender. This shortens the waiting time for the applicant, as well as making the lender more efficient. The Ultra FICO is set to roll out at the early part of 2019. An exact date has not been indicated. 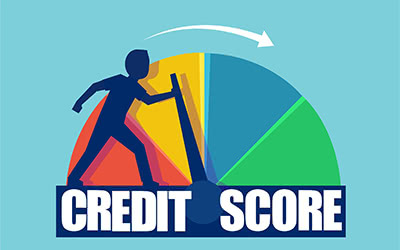 To see how this new method of credit scoring increases your score contact the professionals at Timberline Financial.